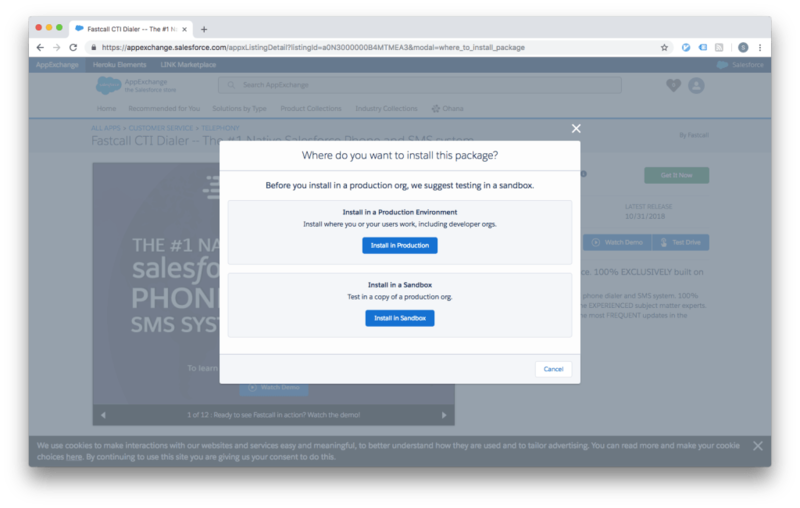 This Unit will take you through installing the Fastcall package from the Salesforce AppExchange. 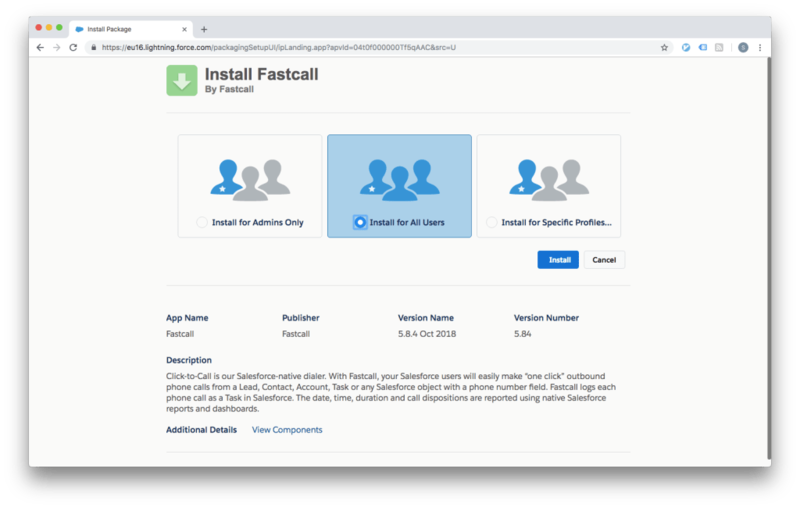 By the end of it, you will have installed Fastcall in your Salesforce Org and learned where you can see your Fastcall version number and license status. 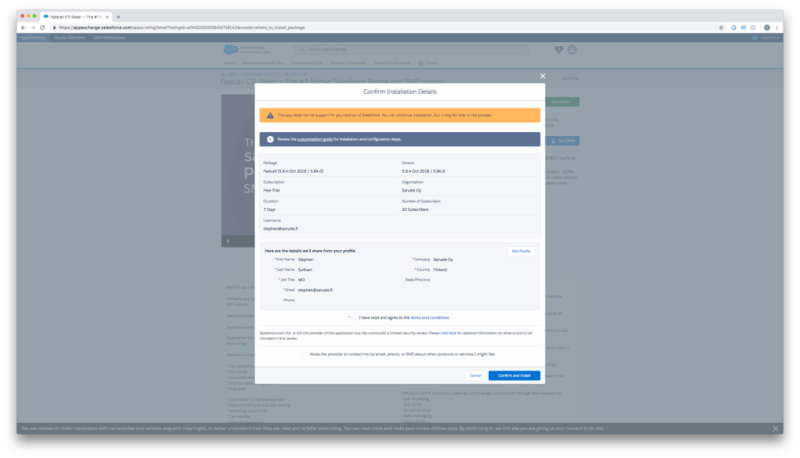 Salesforce updates the AppExchange frequently. This Unit was produced on 2018-11-05. You can get to the AppExchange either via the settings in your Salesforce Org or directly in your web browser. 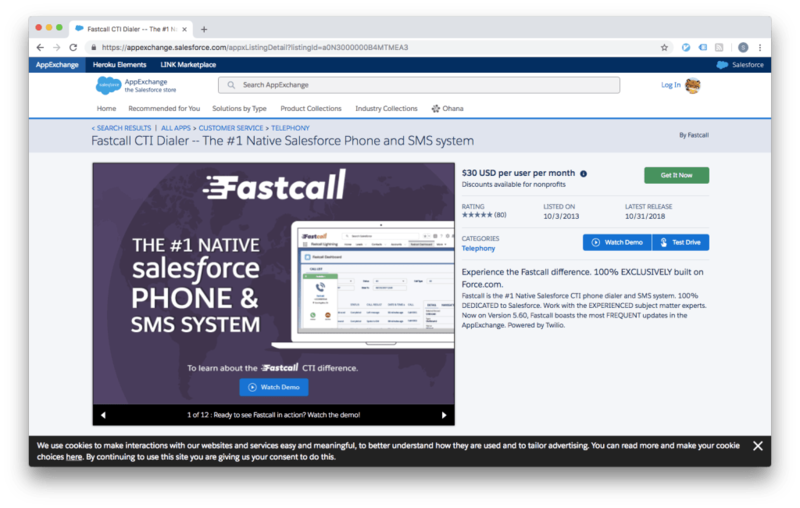 Search for “Fastcall” and open the Fastcall product page. Click ‘get it now’. 3. Choose the installation environment. 5. Install for all users. Fastcall needs to communicate with Twilio in order to make and receive calls. This will take a few minutes and will probably result in the AppExchange notifying you by email. 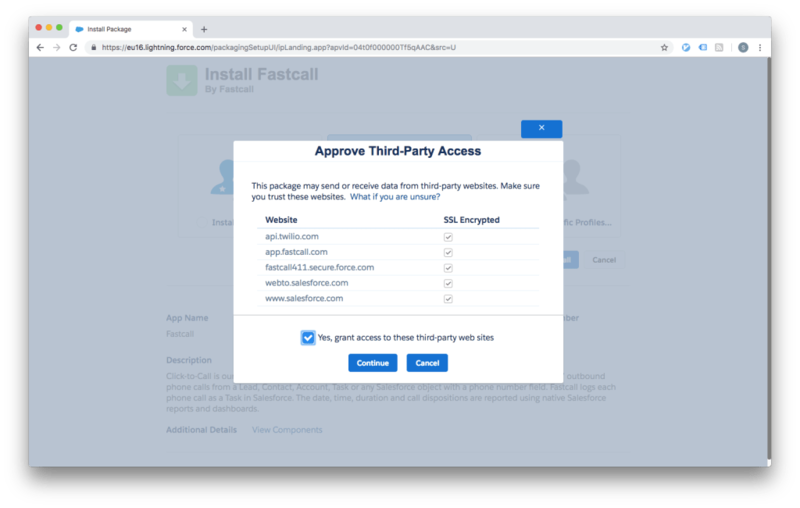 Once complete, you should be redirected to “Installed Packages” in your Salesforce settings, where you can see your Fastcall version number and license status. 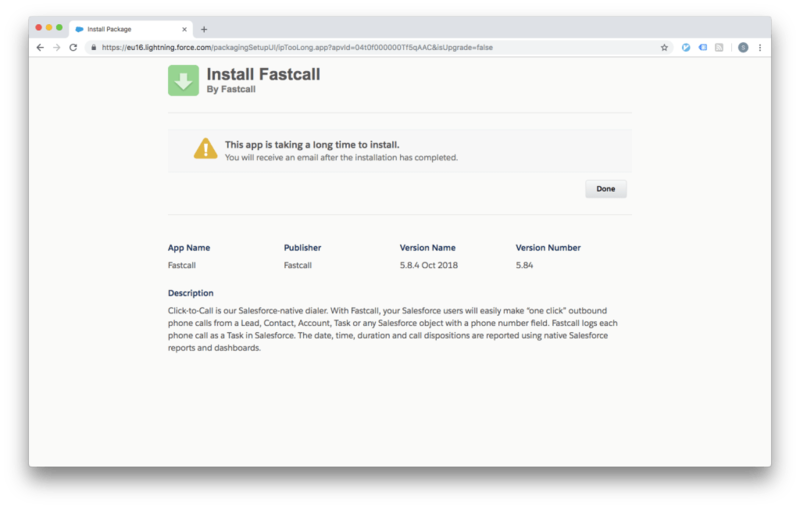 In the Salesforce App Launcher, search for ‘Fastcall’ to confirm the app is installed. You can now continue with the remaining units in the Fastcall Setup module.